Home General Post Best 2018 Cyber Monday Robot Round up! Welcome to the Little Robot Shop’s roundup of Cyber Monday deals focusing on all things robotic. 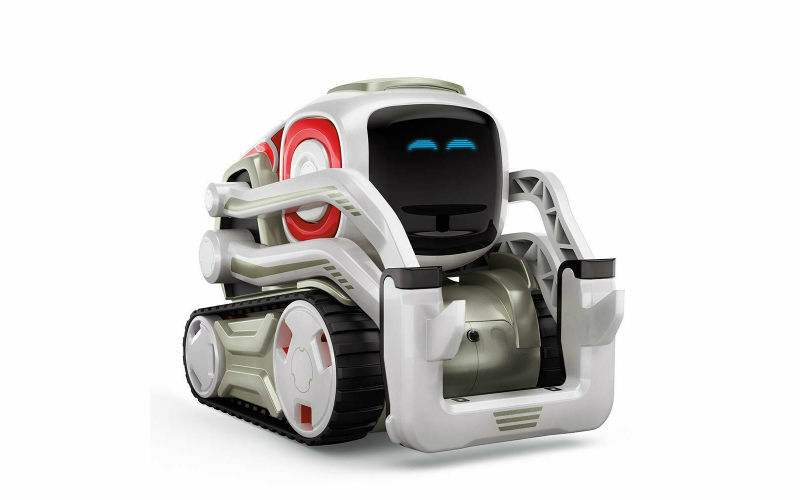 From educational kids toy to domestic help, if it’s smart and robotic, we’ve got your back. With Christmas just around the corner, today is the perfect day to take advantage of some of the amazing deals that can be found online. With up to 50% off robot vacuums, 60% off cool toys and much more, take a look at a few of the deals you can find on Amazon today. Remember, we often have the inside track on deals and coupons throughout the year. If you’d like to be among the first to hear about crazy sales and bargains, be sure to join our mailing list. If you have just closed the pop-up, there is also a form as you scroll down on the left-hand side. So that said, let’s kick off with . . .
Admit it . . . we all like a little help around the home. 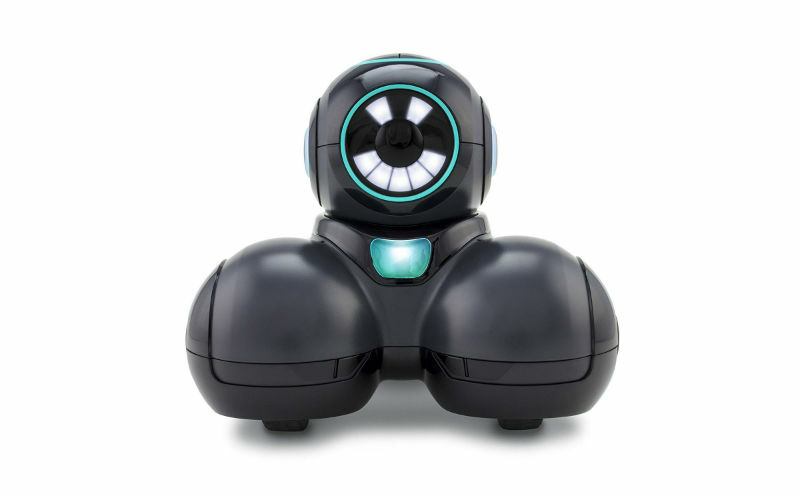 With spare time seeming eaten up more and more, why not find few little robots that will help you keep on top of the chores so you can carve out a few extra minutes me time every day. 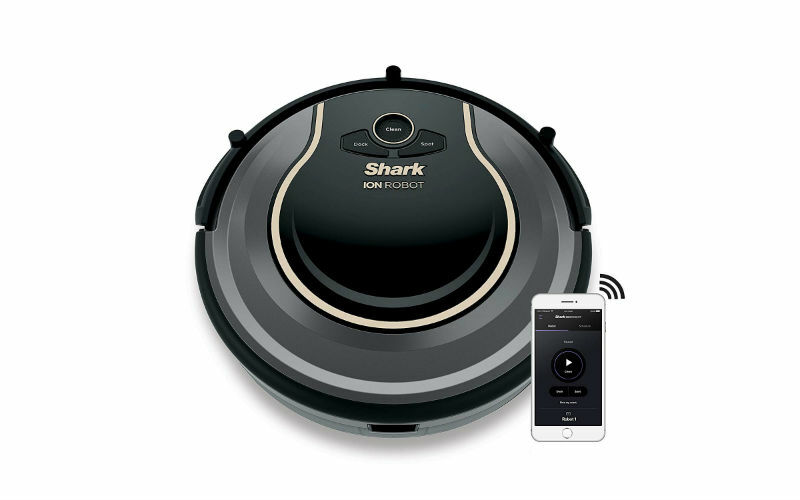 The Shark ION ROBOT is the perfect solution for everyday upkeep. It features A self-cleaning brushroll that captures short and long hair, dust, dander, and allergens to prevent everyday buildup in your home. Smart Sensor Navigation seamlessly navigates floors and carpets while proximity sensors assess and adapt to surrounding obstacles. Dual spinning side brushes pull in debris from edges and corners. Wi-Fi connectivity and optional cleaning and scheduling from your smartphone or with voice control through the Google Assistant or the Shark skill for Amazon Alexa. Robot Vacuums: Are they worth the time and money? 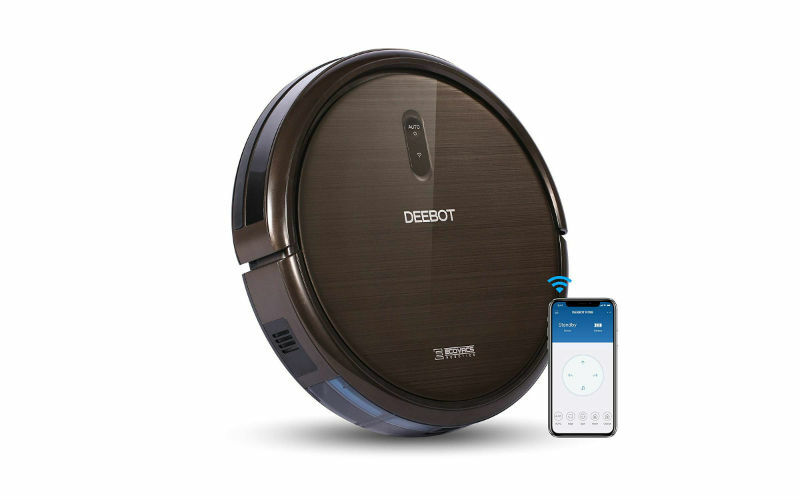 ECOVACS DEEBOT N79S Robot Vacuum Cleaner with Max Power Suction, Alexa Connectivity, App Controls, Self-Charging for Hard Surface Floors & Thin Carpets. Features: Includes a unique 3-stage cleaning system, anti-drop & anti-collision sensors, 120-minute battery life, auto-return charging, automatic software update, durable protective bumpers, air filtration, anti-scratch finish, a large easy-to-empty dustbin, large wheels for climbing thresholds, etc. The small, compact window cleaning robot W120 cleans the frame or frameless window, easily moving on smaller surfaces and cleaning hard-to-reach areas. It can clean indoors and outdoors, equipped with safety ropes, no need to worry about. Robots can be great for developing all kinds of skills in young children. From fine motor skills to learning programming, there are loads of benefits to robot toys for kids. Here’s a look at some of the great deals out there today, after all, Christmas is coming! 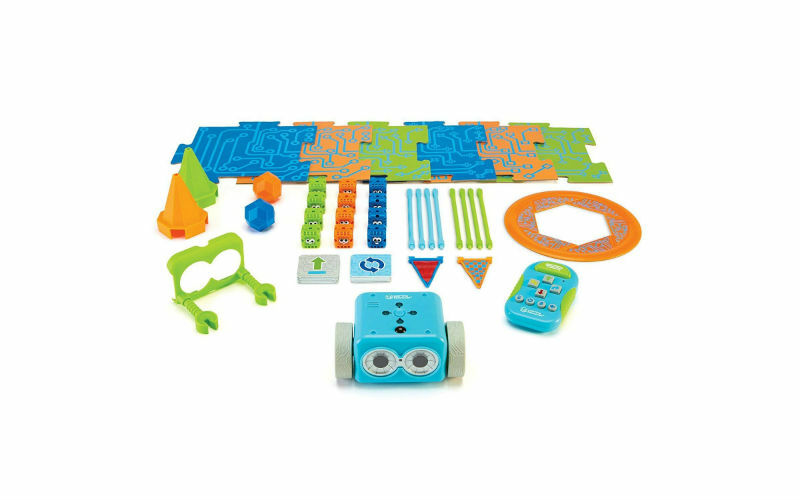 A 2019 Toy of the Year finalist, Botley helps your child learn early STEM skills while playing and having fun. He teaches kids to code with active, screen-free play that’s perfect for promoting critical thinking and problem-solving skills. 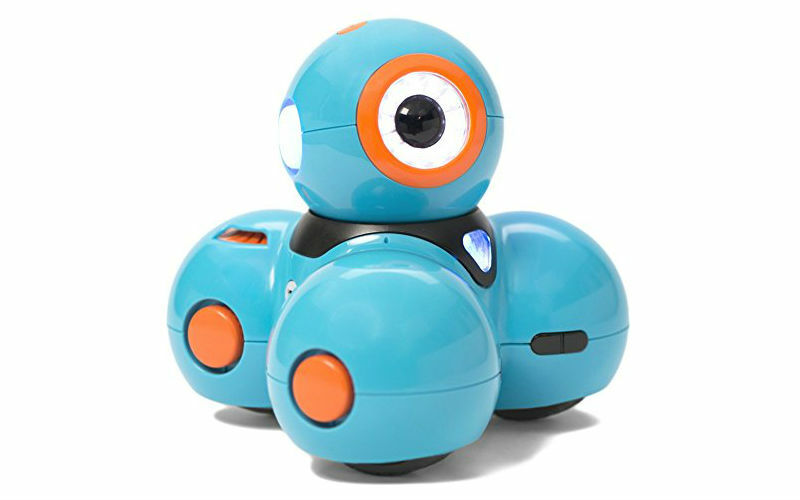 Meet Boxer: It’s the fun & quirky interactive AI robot who delivers big fun for kids 6 and over! Boxer comes with 10 activity cards (included) to play games like Bot Bowling, Paddle Bot or Go Kart, & you can unlock even more games by downloading the Boxer app to your phone! STEM Vs. STEAM, whats the difference and how can robots help kids learn? 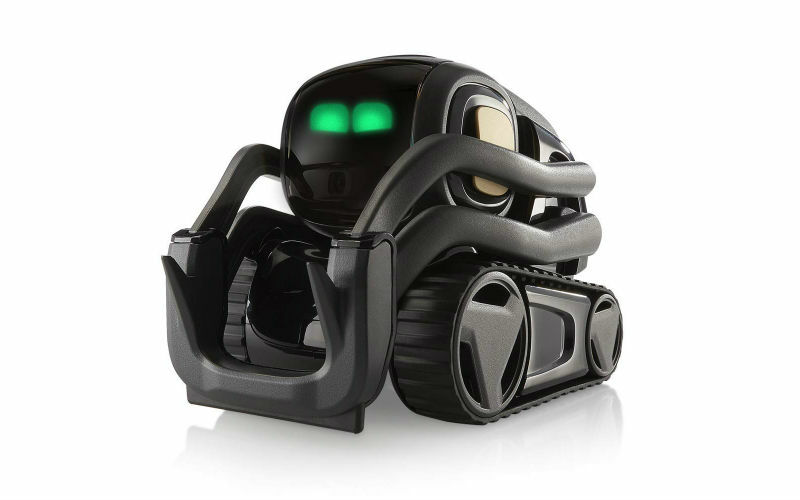 With Wonder Workshop’s Dash Robot, kids ages 6 and up can create anything they can imagine. 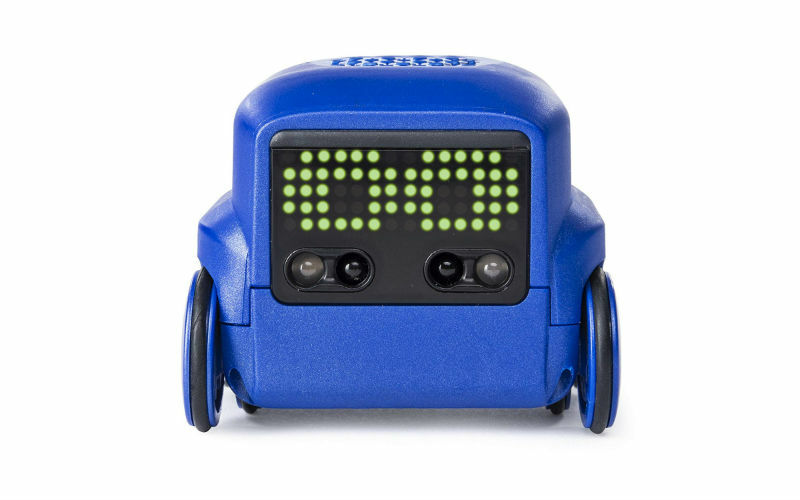 Dash is a real robot that responds to voice commands or any of our five free downloadable apps to sing, draw, and move around. It’s more than learning to code. Dash lets kids explore loops, events, conditions, and sequences and see how they result in Dash’s real-life movements. Wonder Workshop helps kids engage with technology in an open-ended and significant way – it’s not just a toy, it’s real-world problem-solving. Kids will grow in their confidence as digital citizens and architects by seeing their own designs come to life. Embrace applied robotics in the real world. Take learning to code to a whole new level with Cue, the first learning robot designed to teach real, multifunctional code at any level of experience. Designed for kids 11+, Cue engages intuitively with text-based communication. Cue has a vocabulary of over 170, 000 words, has 30, 000 unique text responses, and comes with 40 challenges out of the box. The free Cue app is compatible with iOS, Android, Kindle, Chromebooks, and Windows 10 operating systems. A droid unlike any other, R2-D2 is an Astromech Droid from a galaxy far, far away and has been brought to life like never before. The specialized tech in this Sphero App-Enabled Droid makes it as authentic as the trusty R2-D2 you’ve come to know and love. 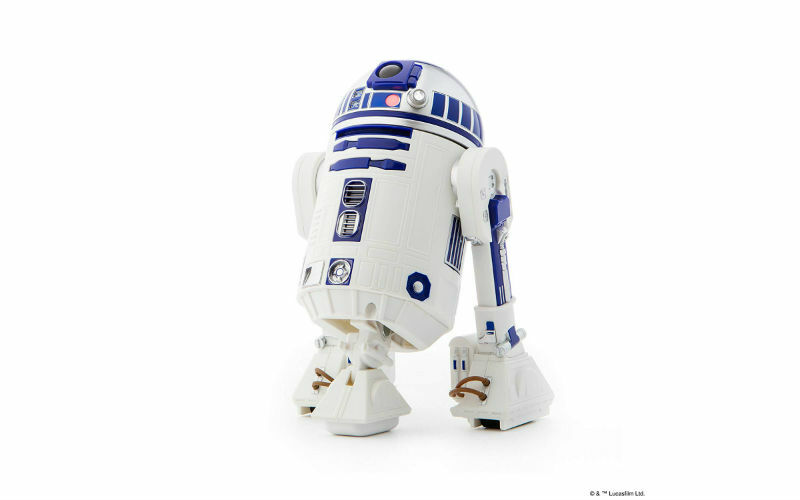 Control this iconic Droid with your smart device, complete with sounds and bright LEDs, and see R2-D2’s front leg retract to go from driving to waddling. Explore holographic environments like the Millennium Falcon and immerse yourself in the Star Wars galaxy. Welcome to the First Order. 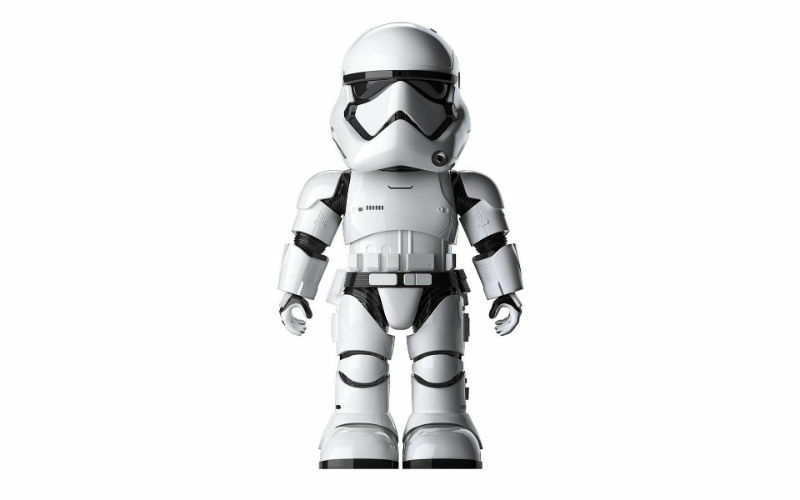 Introducing the First Order Stormtrooper Robot with Companion App. The second robot on this list from my 11 coolest Star Wars Robots post. Featuring a cutting-edge AR app experience, voice command, facial recognition, and sentry patrolling capabilities. Rule the Galaxy. Check out the video in the listing. 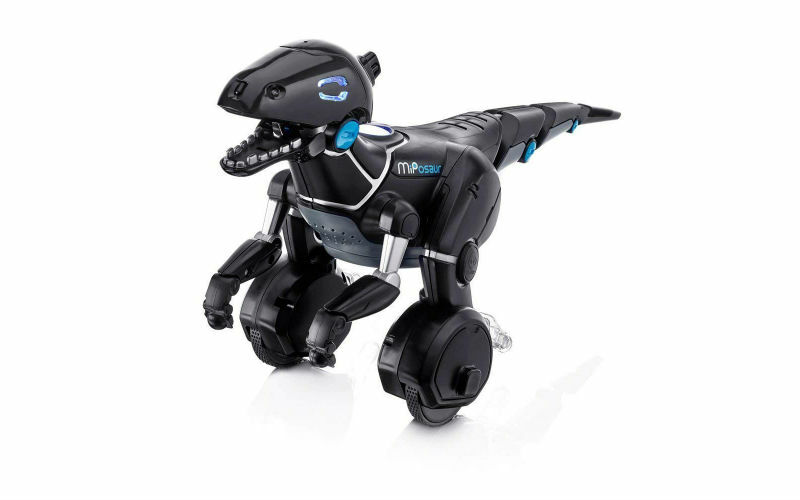 Meet Miposaur, the intelligent robot dinosaur that responds to you! Whether it’s with your hands, his TrackBall, or with an app, Miposaur is smart enough to take on your every command- and mischievous enough not to! Who did it? MEBO did – with the help of your mischievous mind. 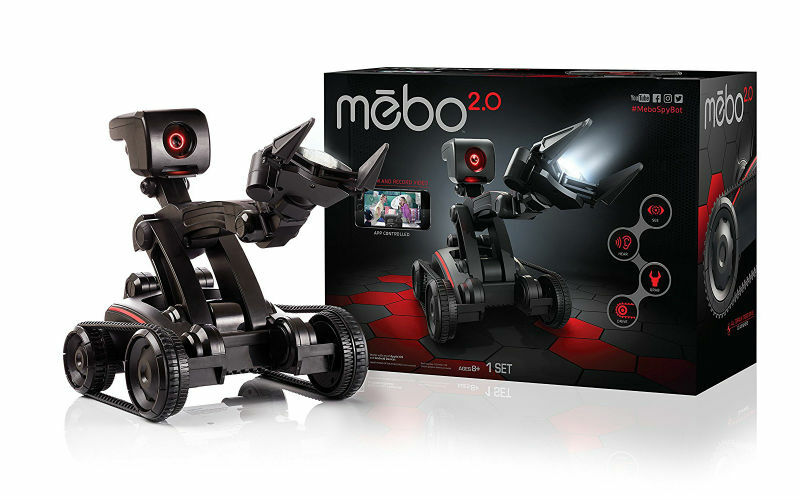 MEBO 2.0 is your robot alter ego. Sneak up on your friends, or have MEBO hide things for you. Stream everything MEBO does from his point of view, as if you’re doing it yourself. You can even give MEBO your voice. Control MEBO from anywhere in the house with internet-based remote access. Now MEBO gets around on tank tread wheels for better stability and traction. He also has two LED lights so you can see what he’s picking up. So, what kind of shenanigans can you come up with? Just say MEBO Did It! The DBPOWER U818G drone is installed with the latest drone technology that makes fling easy and gives the pilot full control. Equipped with a 720P HD camera, it delivers a live video stream direct to your smartphone via Wi-Fi. Selectable speeds, altitude-hold, 3D flip function and headless mode… all provide you with the opportunity to capture some stunning aerial shots. In addition, thanks to the extra battery, you now get 12-18 minutes of entertaining fun to enjoy with your kids and friends! 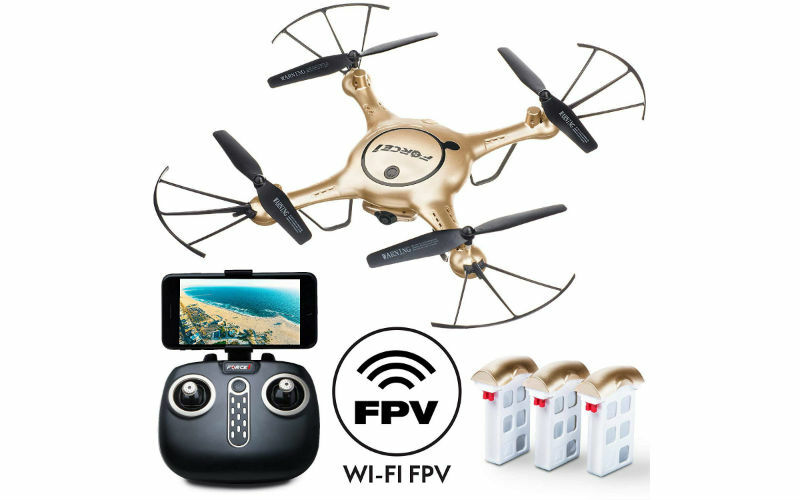 The Potensic T18 is an amazing drone for the price with GPS, Follow me, FPV and an Optimized HD 1080P Adjustable Wide-Angle Camera. Ticks all the boxes for what to look for if you are looking to buy your first drome and not spend waaay too much on it. The HS100G is upgraded with the latest image and video transmission technology, equipped with advanced 1080P FHD 5G Wi-Fi Camera, providing high resolution and 120° wide-angle lenses that help you capture every aerial moment. HS100G also gets enhanced the functions from HS100, like follow me, altitude hold… and it provides a 15 minutes’ stable flight with your kids and friends. 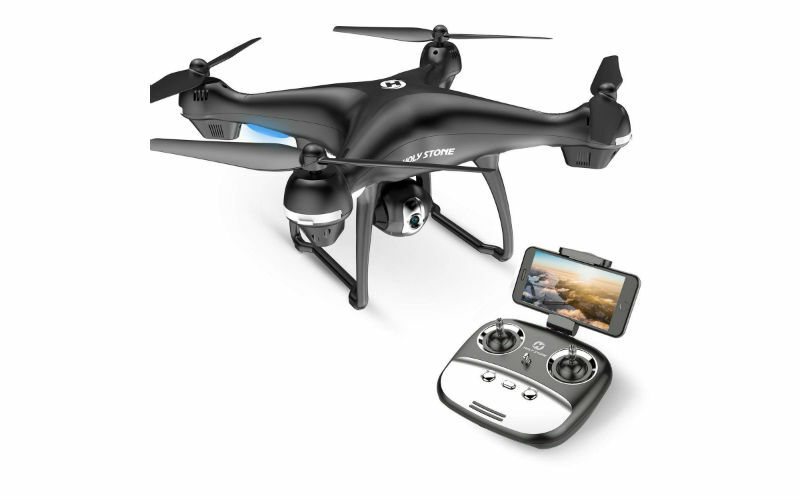 With the GPS positioning system, the drone will follow you and track your every move. You will experience the safest and most fun flight ever! Fly the Thunderbolt Wi-Fi HD drone with FPV just like the pros, but without all the fuss – land, take off and do crazy stunts with a single button! 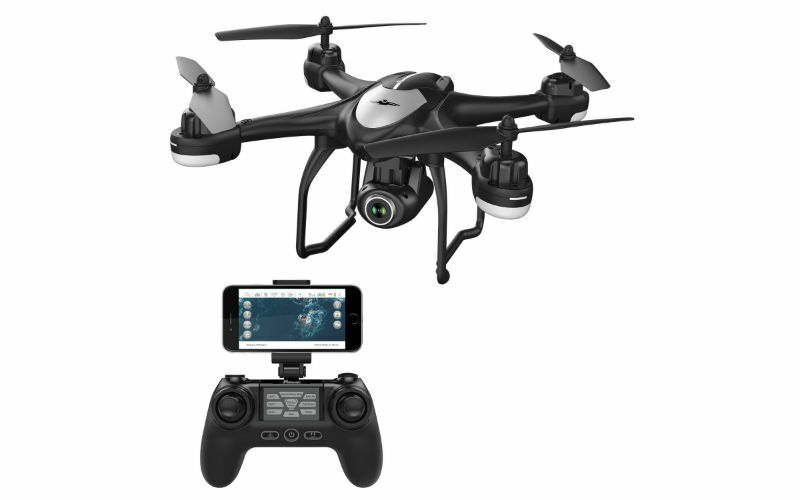 See what it’s like to operate a drone for iPhone or Android just by tilting your phone! 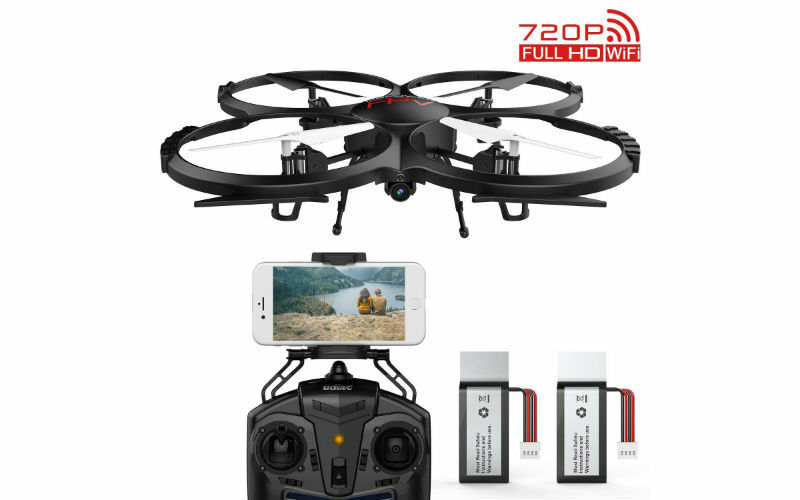 And, do it all while capturing amazing drone HD video and photos with your Thunderbolt’s drone Wi-Fi camera in sharp 720p HD quality. This is just a small selection of Cyber Monday drone deals, check out much more available on Amazon: deals on amazing drones. Have you found any great deals this Cyber Monday? Let us know about them in the comments. Happy shopping!